Join us to celebrate the members of the inaugural Moving Toward Justice Cohort, made possible by generous support from The Bay and Paul Foundations: Nana Chinara, Parijat Desai, Kevin Gotkin, Kris Grey and Maya Ciarrocchi, Kayhan Irani, and Antonio Ramos. Each artist or collective will share a brief presentation, followed by a reception and toast to celebrate the cohort’s success. The Moving Toward Justice Cohort supports high potential projects that use art as a tool for activism and social impact. The group has met monthly since November 2018 to evolve their practice and develop their projects. Nana Chinara, Healing the Black Body: A movement-based workshop series for Black queer youth, culminating with a performance of original works and post-show salon. Parijat Desai, Dance in the Round: A model for working with community organizations by using her project Dance In The Round (DITR) that teaches circle dances from Gujarat, India. Kevin Gotkin, The Disability Nightlife Project: A monthly party that divines and develops NYC’s fast-growing disability arts community. Kris Grey and Maya Ciarrocchi, Gender/Power: A workshop module which features shared storytelling, extreme vulnerability, and exchanges with a live audience around issues of gender perception. Kayhan Irani, There is a Portal: A program that deepens and develops the political voice and interconnectivity of marginalized youth through a performance-workshop series and pedagogical experiments. Antonio Ramos, Multi-Disciplinary Residencies for Puerto Rican Artists: An artistic exchange program for queer Puerto Rican artists making work after Hurricane Maria. Moving Toward Justice is made possible by generous support from The Bay and Paul Foundations. 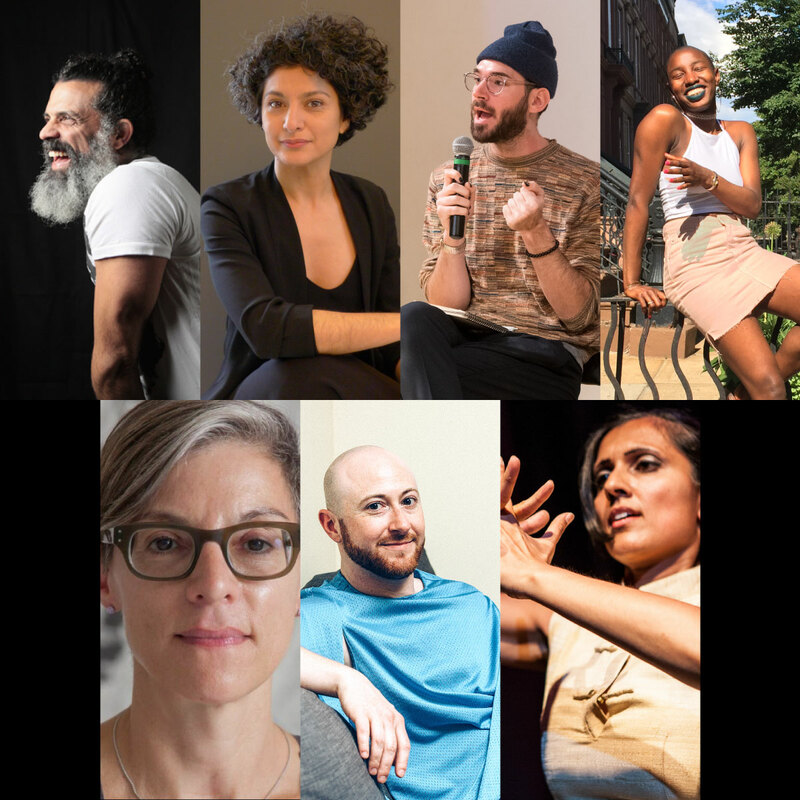 Photos, clockwise from top left: Antonio Ramos, photo by Miguel Anaya; Kayhan Irani, photo by DelPazzo Studios; Kevin Gotkin, photo by Ian Douglas; Nana Chinara, photo by Lee Jimenez; Maya Ciarrocchi, photo by Robin Michals; Kris Grey, courtesy of Kris Grey; Parijat Desai, photo by Neha Gautam.